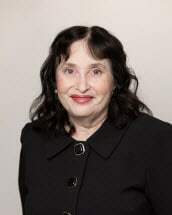 Barbara Nilva Nevin has practiced law since 1979, and practiced law with Milavetz, Gallop & Milavetz, P.A., since 1987. Her practice focuses on family law, bankruptcy, employment law and personal injury. She has practiced extensively in the Minnesota Court of Appeals and within the last few years she twice reversed the district court's rulings, in the case In Re Custody of A.V.A., involving grandparents seeking third-party custody of their young grandchild whose parents were tragically killed in a truck collision. Ms. Nevin is a Judge of Conciliation Court in Hennepin County. She enjoys volunteering in high schools and was active in the Blue Star Moms, where she was a Chaplain and Patriotic Officer. Her son Edmund Nevin served in the United States Marine Corps and served two tours of duty in Iraq. Ms. Nevin is the current Chair of the Seniors' Commission for the City of Chanhassen, Minnesota. Ms. Nevin has also been named a Minnesota Super Lawyer since 2005. Ms. Nevin was one of the plaintiffs in the case of Milavetz, Gallop & Milavetz, P.A., et. al. v. United State of America which successfully narrowed portions of the Bankruptcy Reform Act (BAPCPA of 2005) on First Amendment grounds in a case before the United States Supreme Court. She was awarded as one of the Attorneys of the Year by Minnesota Lawyer in 2009 for her work on the BAPCPA challenge. Ms. Nevin has lectured at numerous continuing legal education programs throughout the U.S. on bankruptcy and family law. Ms. Nevin is rated* AV by the respected, nationwide Martindale-Hubbell Law Directory. The ratings are developed by obtaining confidential opinions from lawyer adversaries and judges before whom the lawyer has appeared. Ability rating categories are A, B, C, and no rating. An "A" rating is the "very high to preeminent" category, the highest rating possible. It signifies that the lawyer has reached the heights of professional excellence, recognized for the highest levels of skill and integrity. The "V" rating is the highest for adherence to ethical standards, reliability and diligence. Named as 2009 Attorney of the Year by Minnesota Lawyer. *Attorneys at Milavetz Gallop, & Milavetz, P.A., are rated* AV by the respected, nationwide Martindale-Hubbell Law Directory. The ratings are developed by obtaining confidential opinions from lawyer adversaries and judges before whom the lawyer has appeared. Ability rating categories are A, B, C, and no rating. An "A" rating is the "very high to preeminent" category, the highest rating possible. It signifies that the lawyer has reached the heights of professional excellence, recognized for the highest levels of skill and integrity. The "V" rating is the highest for adherence to ethical standards, reliability, and diligence.